Take the walk of the brave! Experience Australia’s only 360 degree lion encounter which gives you a prey’s eye view into the world of these awe-inspiring predators. Plus, book one of six exclusive opportunities to hand feed our majestic lions. 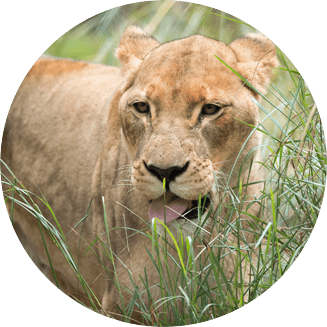 Our special Lions 360 feed package enables you to get even closer to these predators and also comes with a 20% zoo shop voucher, making your Lions 360 experience even more remarkable. The hair-raising and unique new experience will help us continue our work as a conservation charity raising awareness for this amazing species. Lions 360 is now open! Non Zoos SA members are required to purchase admission to Monarto Zoo which is not included in the cost of Lions 360. Admission tickets can be purchased online or on arrival at Monarto Zoo. Lions 360 experience tours include feed and non-feed participants. Vulnerable to extinction, sadly over the past 21 years the lion population in the wild is believed to have been reduced by 43% – that’s the equivalent of three generations. It is now estimated that there may be as few as 20,000 Lions remaining in the wild. 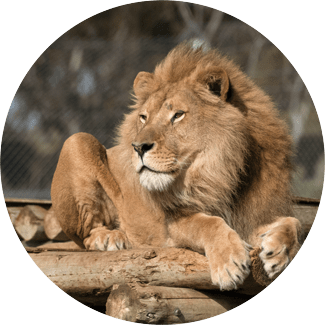 At Monarto Zoo, we are home to one of Australia’s largest lion prides and are part of the international breeding program safeguarding this species from extinction. Any cubs born at Monarto Zoo will play significant role not only in our breeding program to bolster the insurance population for this vulnerable species, but also as ambassadors for their species, acting as a powerful educational tool to shed light on the plight of their wild cousins. Lions 360 will help us continue our work as a conservation charity raising awareness for this amazing species. We’re on a mission to save lions from extinction and that’s why we support 36 rangers to patrol the Sera Conservancy in Kenya to protect Lions and other African species. We are also raising valuable funds to safeguard lions in their native Zambia through our partnership with Painted Dog Conservation Inc supporting the Zambian Carnivore Program. By taking the walk of the brave and entering the lions’ den, you are helping us save lions from extinction in the wild. Ready to take the walk of the brave? When will Lions 360 be opened? Will the experience be available every day? The experience will be available twice a day and can accommodate up to 30 people each experience. 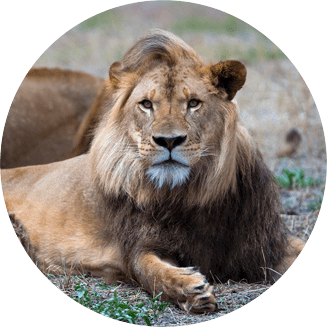 How does Lions 360 help lions in the wild? Lions 360 will help us continue our work as a conservation charity raising awareness for this amazing species. We’re on a mission to save lions from extinction and that’s why we support 36 rangers to patrol the Sera Conservancy in Kenya to protect Lions and other African species. We are also raising valuable funds to safeguard lions in their native Zambia through our partnership with Painted Dog Conservation Inc supporting the Zambian Carnivore Program. By taking the walk of the brave and entering the lions’ den, you are helping us save lions from extinction in the wild. How much does the project cost and how is it funded? The total project cost is $1.4 million. Zoos SA is contributing $720,000 to the project, the South Australian Government has allocated $360,000, and the Commonwealth Tourism Demand Driver Infrastructure program $350,000 to complete the project. This project has been supported by the Government of South Australia’s Regional Development Fund and the Commonwealth Tourism Demand Driver Infrastructure program.